According to a recent article in the Metro West Daily News, a construction worker has died from his injuries sustained during employment at a job site in Framingham, Massachusetts, a suburb of Boston. Witness are reporting the decedent was working at a university campus when he fell about 20 feet. He was airlifted by helicopter to a local trauma center, where he died from his injuries. The contractor who had employed the worker said he was cutting metal pipes in the interior of a stairway at the time of his fall. The company said there was nobody else working in the area at time of the fatal accident. Local authorities, the district attorney and the Massachusetts Coalition for Occupational Safety and Health (MassCOAH) are investigating the accident. The investigators are waiting for the Office of the Chief Medical Examiner for the Commonwealth to release findings from the autopsy for any clues as to why the worker fell to his death. One can imagine that while the injuries were obviously caused by the fall, the autopsy may reveal pertinent information about his physical condition at the time of accident. As our work injury lawyers know, falls are one of the more common reasons for on-the-job fatalities. According to a recent state report, nine out of 48 workplace deaths in Massachusetts were due to falls. Six of those nine deaths occurred in the construction industry. MassCOAH and OSHA spokespersons reported both organizations will be conducting an investigation to determine if the employer was committing any safety violations at the time of the worker’s death. Depending on the circumstances, the family can receive the workers’ compensation benefits as a lump sum payment or in regular installments. 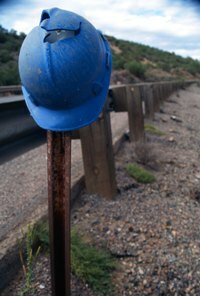 However, as we have discussed in other blog entries, a construction company may try to get out of paying benefits entirely by claiming that the injured or deceased worker was not an employee but rather an independent contractor. This can be established by looking at the amount of control the employer has over the worker, whose equipment the worker was using, how the worker was paid, and if taxes were withheld. If the worker was required to fill out a W2 instead of a W9, which is used for contract employers, it is likely that the hearing officer will determine that the worker was not an independent contractor.